This website is provided by Wolfdog Rescue. Please read these conditions, legal notices and disclaimers carefully before using the site. Your use of the site constitutes your agreement to abide by these conditions, legal notices and disclaimers, and if you do not agree with any of them, please don’t use the site. While this site is constantly monitored and updated, Wolfdog Rescue accepts no responsibility for the accuracy of the information. The content of the site is provided for general information only and is not intended as specific advice. If you have any concerns about your pet’s health you should always consult your local vet. Users who rely on the information contained within this website do so at their own risk. 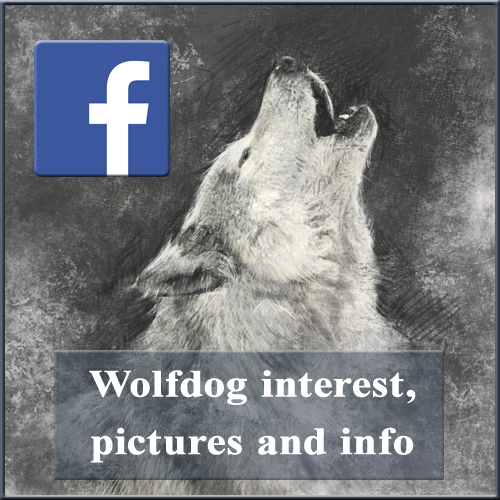 The information is made available for public use solely on the basis that Wolfdog Rescue excludes to the extent lawfully permitted any and all liability for any loss or damage to data or computer systems which result from use of this site. References in these Terms to “we” or “us” or “our” refer to Wolfdog Rescue. We reserve the right to change our Terms and Conditions at any time and advise checking for updates on a regular basis. You agree to use this site only for lawful purposes, and in a manner that does not infringe the rights of anyone else, nor restrict or inhibit their use and enjoyment of this site. This website is owned and operated by Wolfdog Rescue. You can contact us using our website contact form or by email, using the email address published on our website. 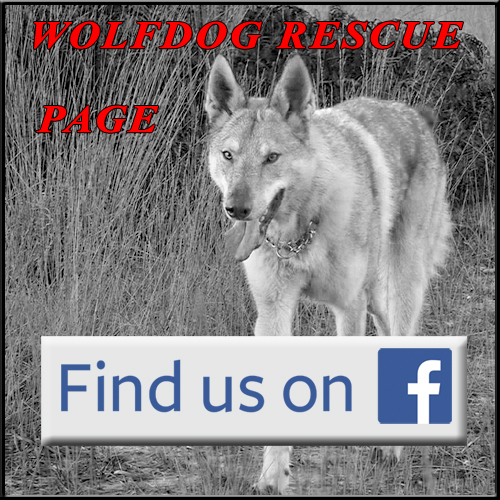 All material on this site is copyright of Wolfdog Rescue or third parties working on behalf of the Rescue. You may view the contents of the site on screen, and you may print one copy of any leaflets and factsheets contained in the site for that purpose, but if you require multiple copies of any leaflets or factsheets, please contact us. The Wolfdog Rescue logo may not be used without prior consent. 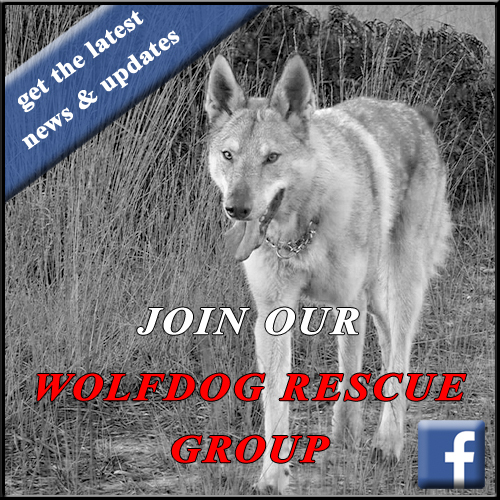 This site contains links to other sites which Wolfdog Rescue provides for the user’s information and convenience only. Wolfdog Rescue does not control or monitor these other sites, nor does their inclusion mean that Wolfdog Rescue recommends or endorses these sites, the organisations or companies that run the sites or anything contained within the sites. We reserve the right to withdraw any of these links at any time. The supply of goods from the Wolfdog Rescue Shop on this website is subject to availability and it is not always possible for us to inform you at the time you place your order whether the goods you want are still available for purchase. In the case of this happening a carefully selected alternative may be sent, or a refund may be given. All sizes and weights are approximate. If you find that you are unhappy with the quality or value of any item or if your goods are damaged in transit, please return it to us within 14 days of receipt. We guarantee to replace or refund your money. All unwanted goods should be returned in a re-saleable condition. This does not affect your statutory rights. When you send your item back to us we will process the returned item and offer you the choice of a replacement (excluding one off items, which are unique) or a refund. If you request a refund we will refund the full price of the goods. Wolfdog Rescue will not be held responsible for any delay or failure to comply with our obligations under these conditions if the delay or failure arises from any cause which is beyond our reasonable control. This condition does not affect your statutory rights. 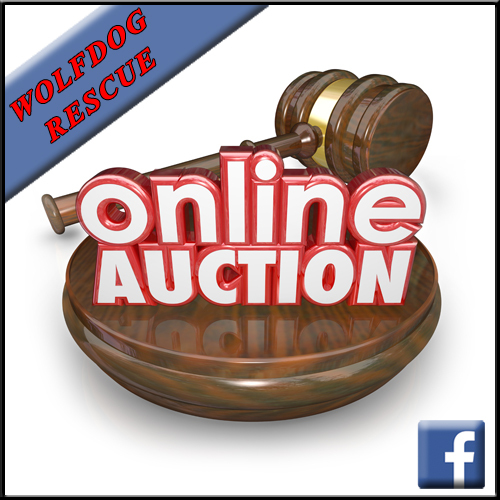 Wolfdog Rescue cannot guarantee that any animal seen on this website will be suitable for an individual prospective owner. The dogs have differing needs and can only be matched accurately to a new home once a member of our re-homing staff and, if applicable, one of our fosterers has interviewed a prospective new owner. Please be aware that under no circumstances can we reserve an animal until an interview has been completed. Please note that you have to be 18 years old or over to re-home a dog from Wolfdog Rescue. Although this site is regularly updated, there may be occasions when an animal appearing on the website has already been re-homed. Wolfdog Rescue cannot accept responsibility for the temperament of any animal once it has been re-homed. All Wolfdog Rescue dogs are given health and temperament assessments. This gives us an insight into the dog’s character and enables us to make a considered decision as to which type of home would be best for the dog. However, once a dog has settled into a new home, its behaviour can sometimes alter. Wolfdog Rescue can only assess a dog on the behaviour it displays whilst in our care. We offer support for anyone experiencing behavioural difficulties with their pet after re-homing.